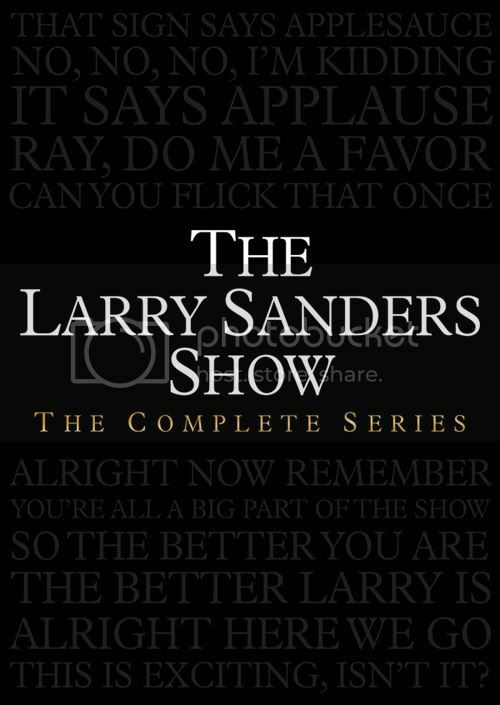 Buy, Rent or Skip The Larry Sanders Show (The Complete Series)? What's not to love about The Larry Sanders Show? It's got everything you could ask for. Memorable characters like Larry Sanders (Garry Shandling), Hank "Hey Now" Kingsley (Jeffery Tambor) and Artie (Rip Torn). Also along for the ride is the top notch supporting cast of Penny Johnson (24), Wallace Langham (CSI), Janeane Garofalo (24, The Ben Stiller Show) Jeremy Piven (Entourage), Scott Thompson (The Kids In The Hall), Bob Odenkirk (The Ben Stiller Show), Mary Lynn Rajskub (24) and Sarah Silverman just to name a few. As for the supporting cast, it was a hoot to see Penny, Mary and Janeane working side by side. For those that don't know, they would one day end up on 24 and not on friendly terms. I'm speaking of their characters mind you. As for the show itself, there are so many memorable scenes and episodes that it's really hard to zero in on just one. But the writing for all of them is top notch and there really isn't a bad episode to be found anywhere. I could easily watch this marathon again, if not for the fact that I just started watching It's Garry Shandling's Show. Although Garry and Peter Tolan wrote the bulk of the episodes for the series, they employed a lot of other writers on the show. The most notable one from the class is of course Judd Apatow who would go on to create Freaks and Geeks as well as becoming a Hollywood fixture with films like The 40-Year Old Virgin. There are countless celebrity cameo's that make their way through the show, far too many to name here. But each one that shows up has no problems making fun of themselves for our delight. If actual talks shows were this funny, I'd start watching them again. This is a great series and is a definite Buy. The only reason why this set doesn't get a perfect 5 Star rating is because the transfer could have been better, even if the quality of the show was suspect to begin with. Also, I like subtitles on my DVD's and if I can't get that, then I at least expect to get the Closed Caption option. This set has neither. If you go on Amazon.com, the set is a bit pricey. It usually hovers around $80. But if your patient enough to wait it out, the price drops on a somewhat regular basis. I waited and got mine for $58 even, new. Not bad given that the original price is $150. Yikes, After I picked up the original Season 1 DVD, I was pretty p*ssed when they cancelled all future season releases of the series, leaving me and thousands of fans in limbo for years. So, I'm pretty grateful to Shout! Factory for putting this set together and giving us fans closure. I'm stunned to hear that Garry Shandling passed away today. Way too young. As you already know, I'm a huge fan of his and this a sad day for me. He's one of my favorite comedians. He always made me laugh. There was nothing he couldn't do. RIP. I was trying to find an embeddable copy of his recent (two months ago) appearance on "Comedians In Cars Getting Coffee." It was titled "It's Great Garry Shandling Is Still Alive"
Nice find. Thanks for the post. A lot of nice tweets under one link. Check 'em out and you'll see just how admired he was.